Collection available from Fareham, Portsmouth, Southampton, Winchester, Basingstoke, Petersfield, Havant, Farnham, Farnborough – In fact anywhere in Hampshire or the surrounding counties. 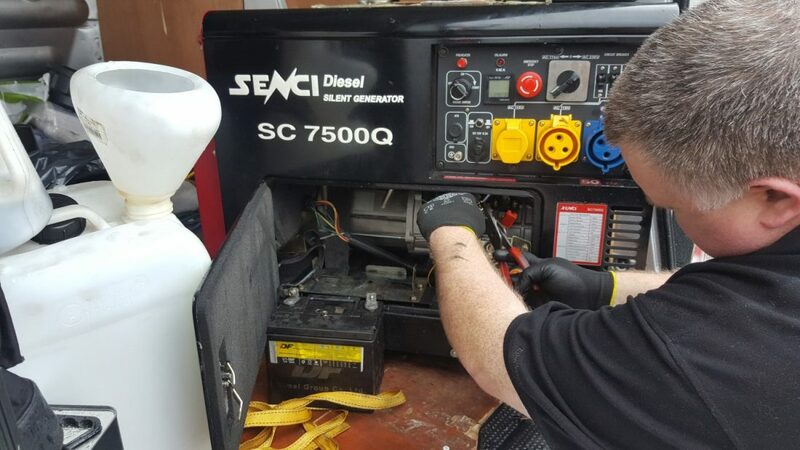 Here at The Hampshire Generator and UPS Co we can service your portable or small petrol or diesel generator to ensure that it is ready for use when you need it. We service and repair any brand of generator – Hyundai, Honda, Champion, SDMO, Stephill and plenty of others. We offer a collection service covering Hampshire – Portsmouth, Southampton, Winchester, Fareham, Alton, anywhere! Or you can drop it off here yourself. Small leasure or site generators require a service now and again so they start easily, don’t keep cutting out or use too much fuel. Safety is also very important – fuel hoses perish and fuel tanks start to leak – especially if they sit unused for a while. Let us check it for you! We normally like to use original parts during these small petrol generator services but we know that budget is sometimes an issue so we can use good quality aftermarket parts to help with the price. Let us know if we can assist with any small / portable generator maintenance, servicing or repairs.